Keep your property safe, always know who is at your front door and feel more secure in your home with a custom installed CCTV door entry system. There is no better way to be sure of who you are letting into your home than to physically see their face first. CCTV was once thought of as a solution for businesses only, but with the wide range of affordable systems available today, it’s increasingly being relied upon by private home owners too. We install systems quickly and easily, with cameras that can either be subtle and discreet, or be more obvious if you would prefer visitors to know that they are being watched. There are a number of CCTV Door Entry Systems available, to suit a variety of budgets. A black and white monitor may be all that you really need, or you might be looking for a full colour CCTV system. We supply and install a wide range and always happy to offer advice and support so that you can select the best one for your needs. One of the key features of a CCTV Door Entry system is, of course, the ability to see who is approaching without having to physically be there. In larger properties this can save time and effort where getting to the front door in time would be difficult, but it is also beneficial where the occupant of the home may be elderly, unwell or less mobile, as it can negate the need for them to move across the property unnecessarily. Specialist CCTV door entry systems can be integrated easily with many existing security measures you may already have in place. 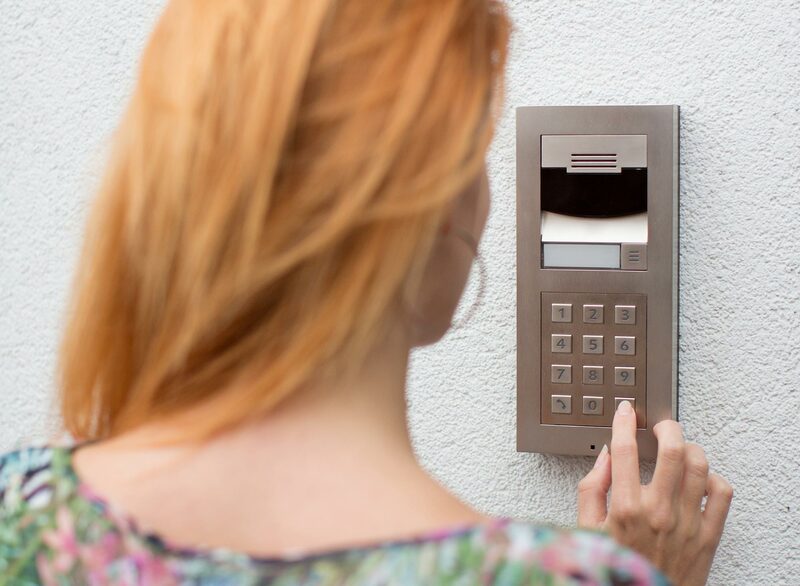 If you have a gated entrance to your property, for example, we can install CCTV or an audio phone panel so that you can control who has access to your property before they even reach the front door.